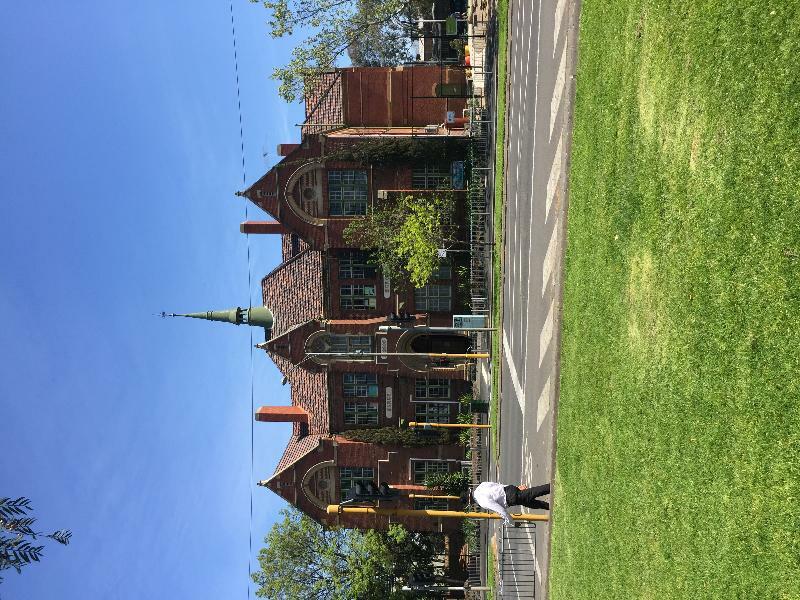 The Primary School at 215 Rathdowne Street, Carlton is an Italian Gothic style building built in 1884 with a hipped roof central pavilion buttressed either end by slightly projecting gables. The roof now finished with terracotta tiles was most probably originally slate. The walls are polychromatic brick with limestone panels, quatrefoils to the gables, dressings, keystones and reveals as well as basalt columns and mouldings used on the main entry design elements. 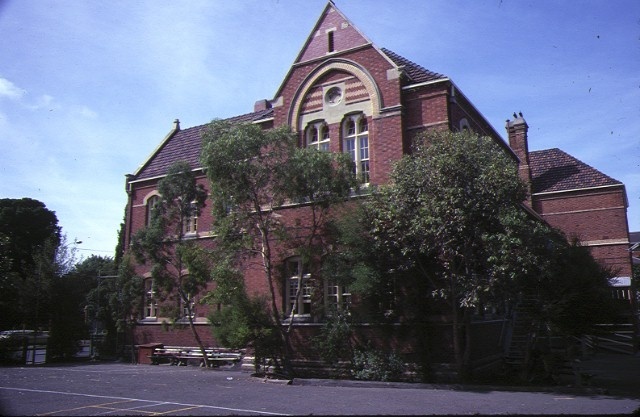 Despite the changes made to the windows on the front and south west facade (replacing the pairs of segmental arch windows with square headed sashes), the enlargement of ground floor classrooms, at the expense of the front porch, and other internal changes including the removal of platforms, the building retains much of its originally significant features. 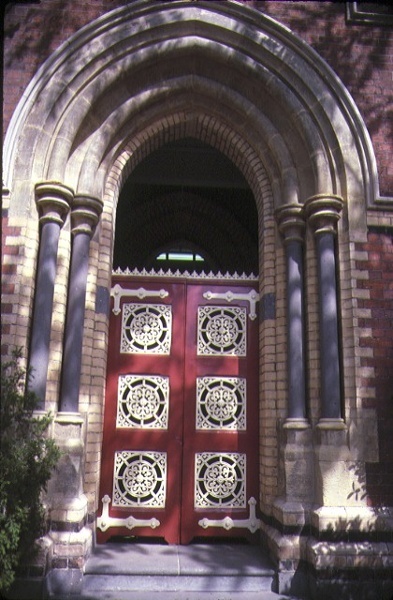 The building has a symmetrical elevation centred on the front entry. The plan layout is basically a central corridor, with stairs at each end and classrooms on either side (east and west) both at ground and first levels. 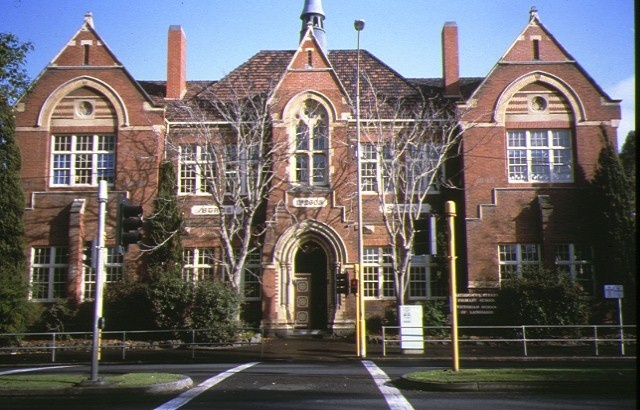 The layout ensured well-lit rooms and corridors, unlike many other school designs of that period, despite the small allotment. The internal detailing is relatively intact (all multi-coloured paint surfaces can be re-instated to their original colours and finishes). The design is attributed to either J.H. Kelleher, who was the most senior assistant to Henry Bastow as the head of the Schools Section of the Public Works Department in the 1880s, or S.H. Bindley, who was also working for the Public Works Department at this time. 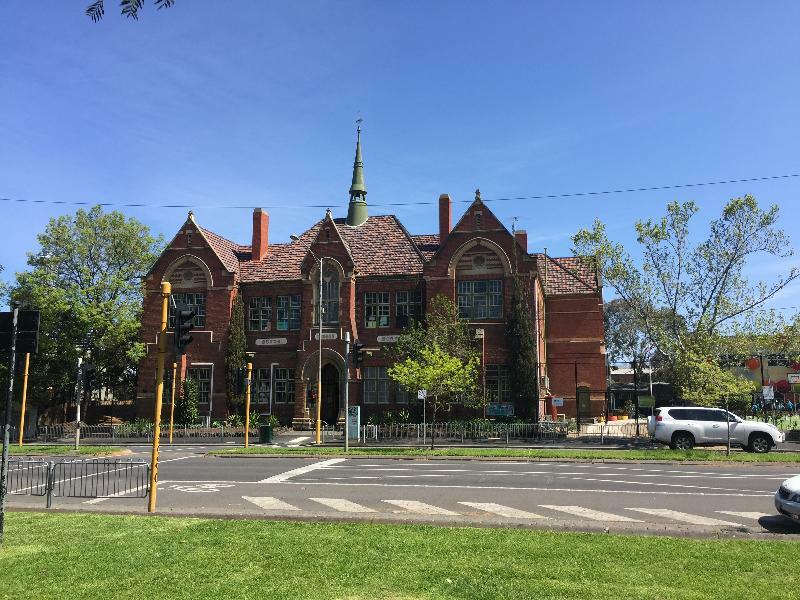 The Primary School is of architectural significance to the State of Victoria. 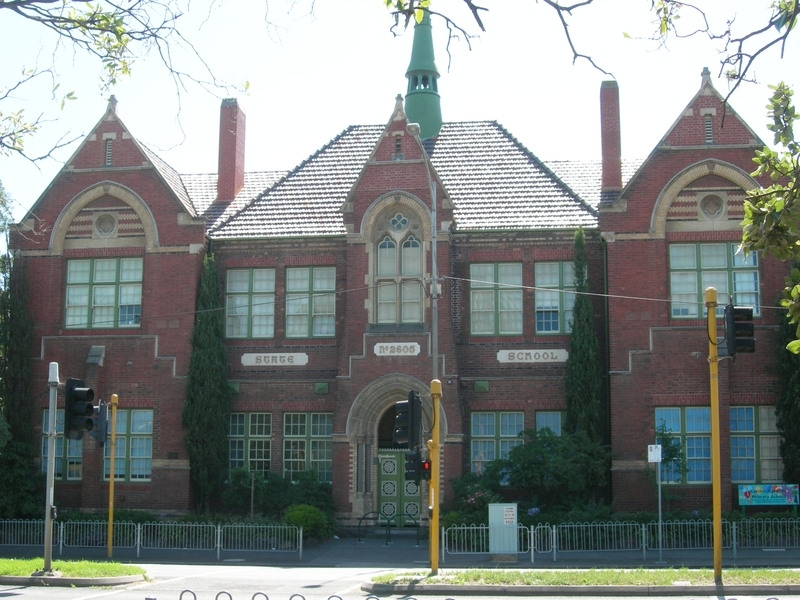 The Primary School is architecturally significant as a unique example of Italian Gothic primary school architecture, functional and responsive to the site. The design has presence and makes a strong statement in the streetscape as it stands within its confined boundary lines. Its internal layout is unique, with a central corridor stretching between two staircases on either side of the north and south walls and classrooms carefully positioned on either side of it, designed for maximum light gain for each classroom. It is also architecturally significant for its exterior detailing and careful use of limestone, basalt and polychromatic brickwork. (i) Primary School No. 2605. General Conditions: 3. If there is a conservation policy and plan all works shall be in accordance with it. 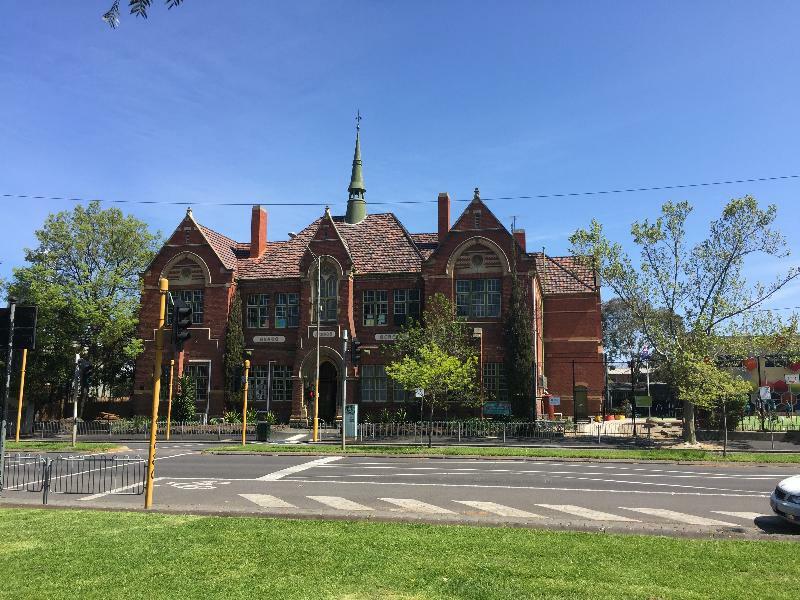 Note:A Conservation Management Plan or a Heritage Action Plan provides guidance for the management of the heritage values associated with the site. It may not be necessary to obtain a heritage permit for certain works specified in the management plan. 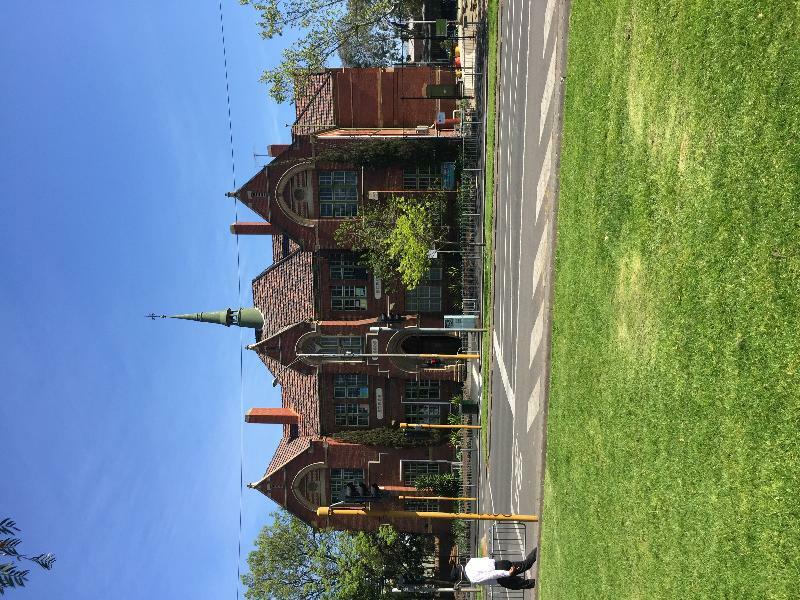 - the approved "World Heritage Environs Area Strategy Plan: Royal Exhibition Building and Carlton Gardens" (Department of Planning and Community Development, 2009). The Commonwealth's Environment Protection and Biodiversity Conservation Act 1999 and Environment Protection and Biodiversity Conservation Regulations 2000, as they relate to actions that may impact on World Heritage values, must also be considered. The purpose of the permit exemptions is to allow works that do not impact on the integrity and significance of the place without the need to apply for a permit. 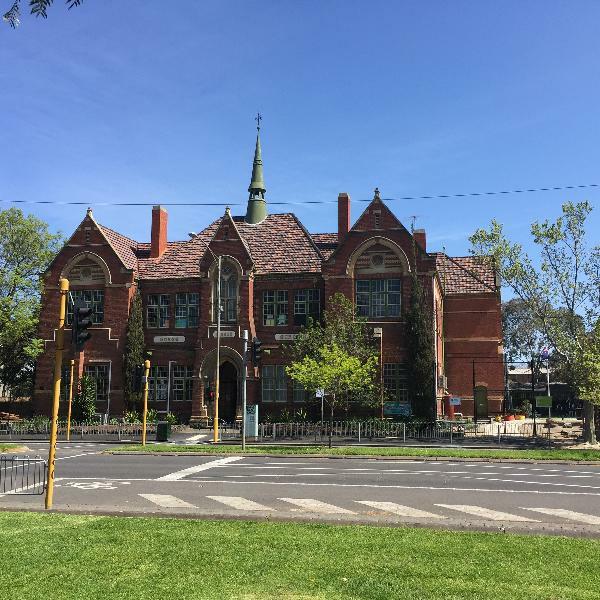 If requiring guidance with the type of works and the extent of exemption, the owner should contact Heritage Victoria or seek the services of a qualified Heritage Architect or alternatively contact the Heritage Adviser at the Melbourne City Council. The elements that demonstrate the building?s significance as an Italian Gothic style building should be conserved. The polychromatic brick walls, the limestone features and existing joinery should all be maintained and conserved. Internal wall colours should be re-instated.